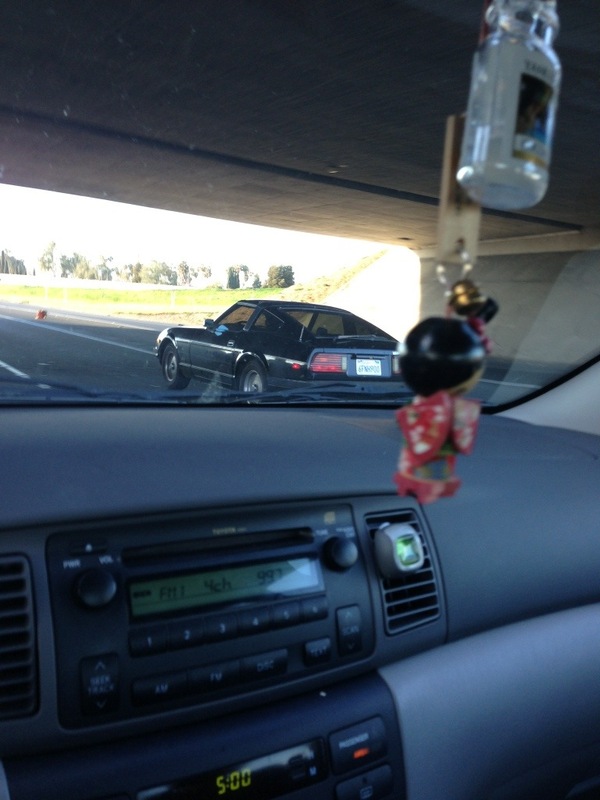 i’ve always preferred the classic Z shape over other models, however, the black on black makes this 300zx look just cool. 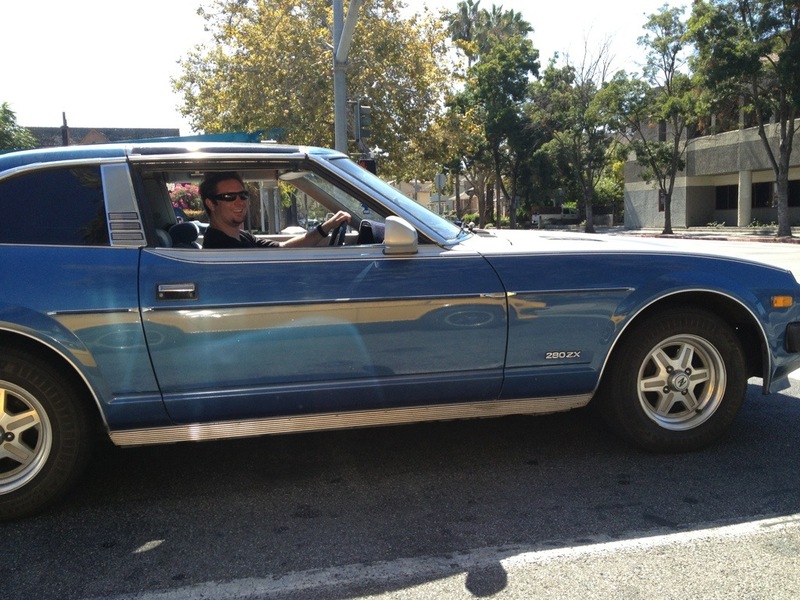 like KITT cool. 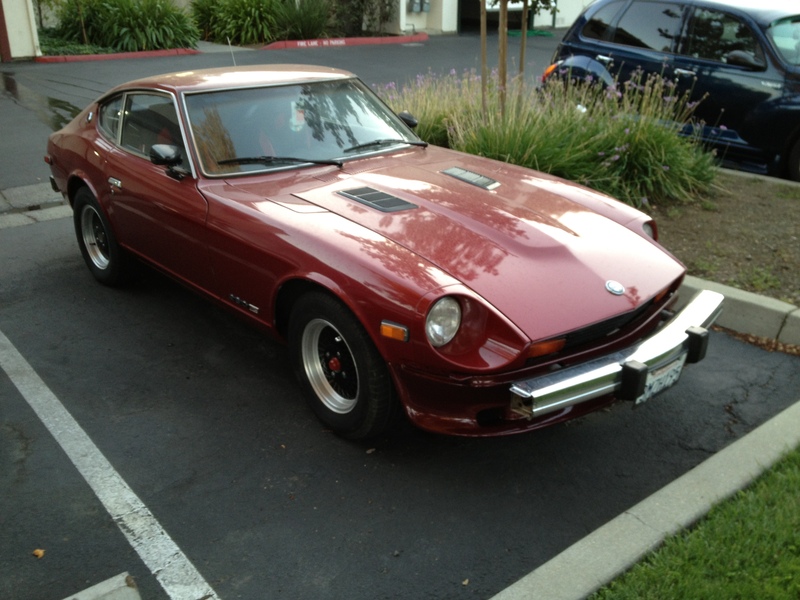 We were visiting friends the other day month and spotted a nice looking 280z in their parking lot. I was admiring pretty hard, peaking in the windows, checking out the upper door chrome (more on that later). I guess I was checking it out TOO much because soon after I walked away, a lady comes out and stares at me like neighborhood watch. 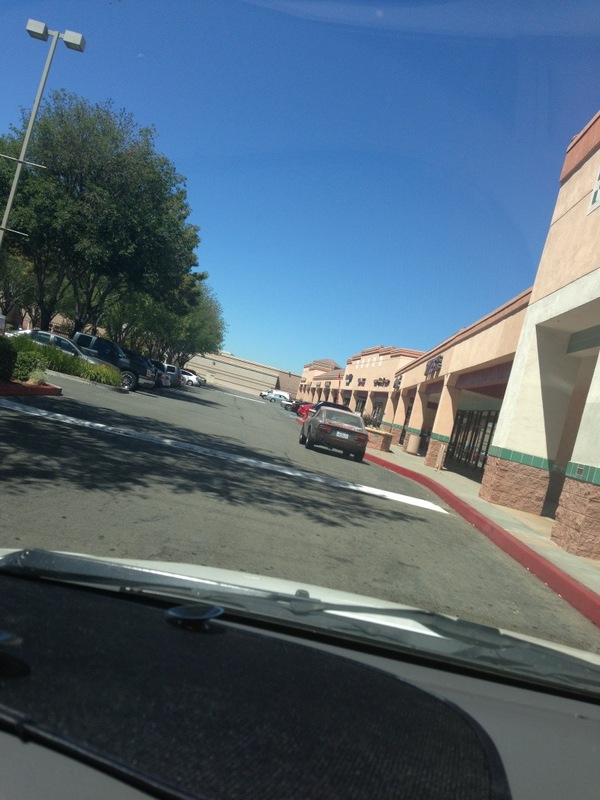 I’m in my car, typing some notes… then a guy comes out, occasionally glares in my direction. They mull about getting closer and closer, looking at me ever so often. 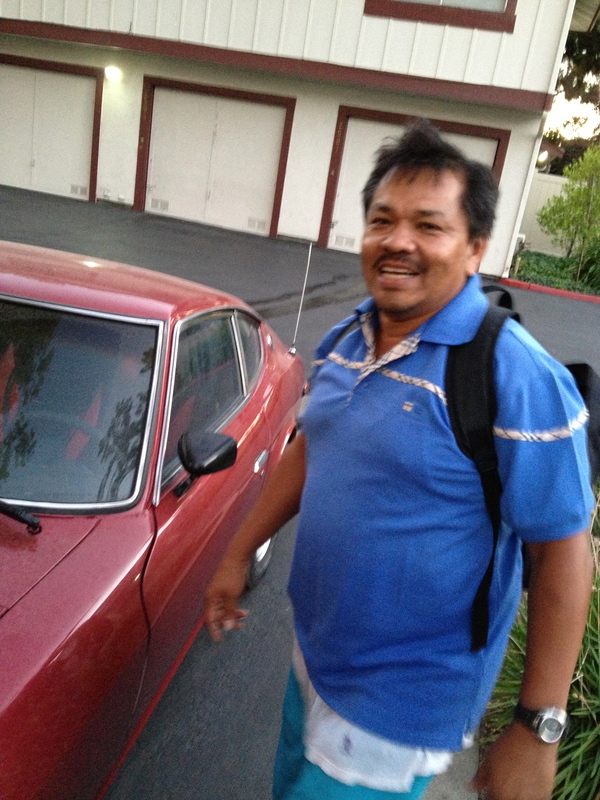 I finally get out of the car to go talk to them, find out what’s up, and he motions me over (ah ha! must be the owner). 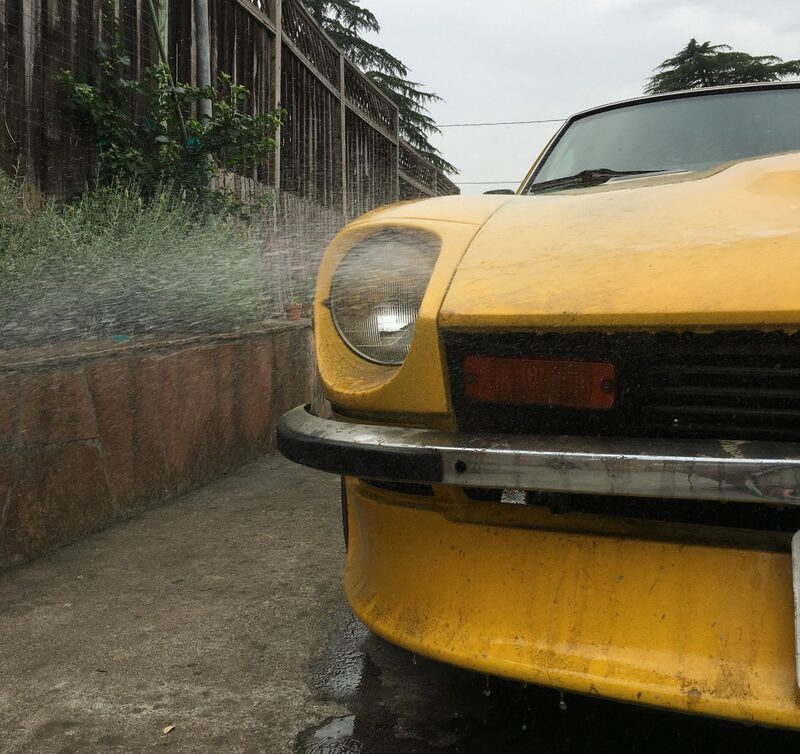 Here’s AC and his work-in-progress ’77 Datsun 280z. He’s owned it for 21 years. The paint is new and looks great. 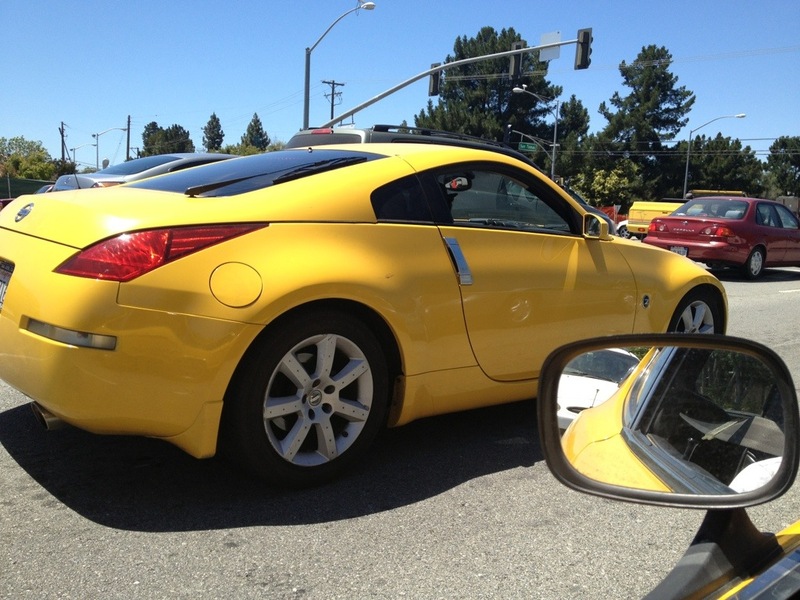 You can tell he’s got great care and concern for his Z. 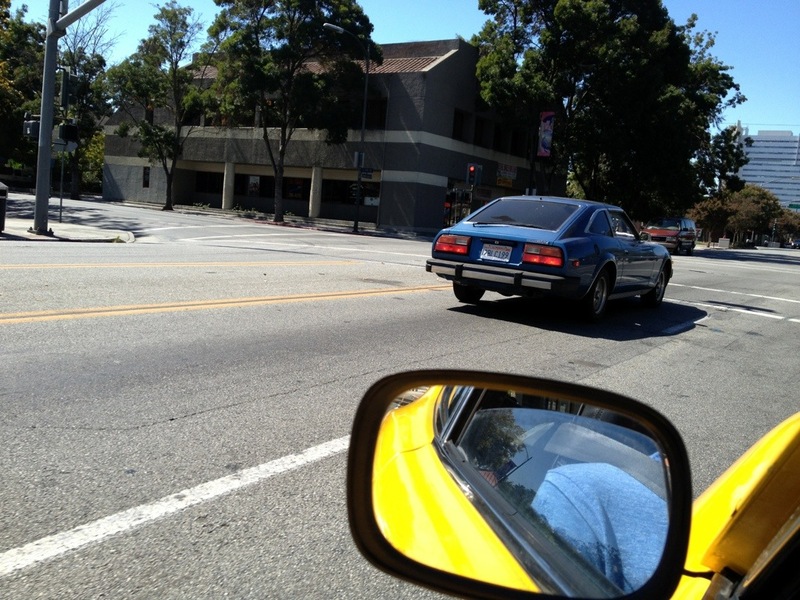 He said he’s driven this car all over: Reno, SoCal… even to Tijuana, Mexico! 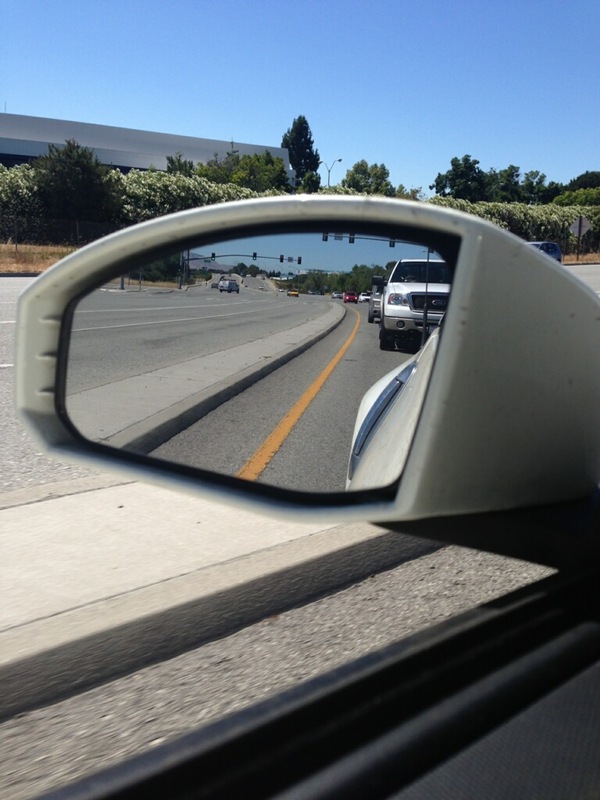 Since we owned the same model year, we had a bit to talk about… like smog. He continues to rock the mucho solid bumpers. After talking, I’ll be selling him the rubber sides for the bumpers I have. Whoa – what?! 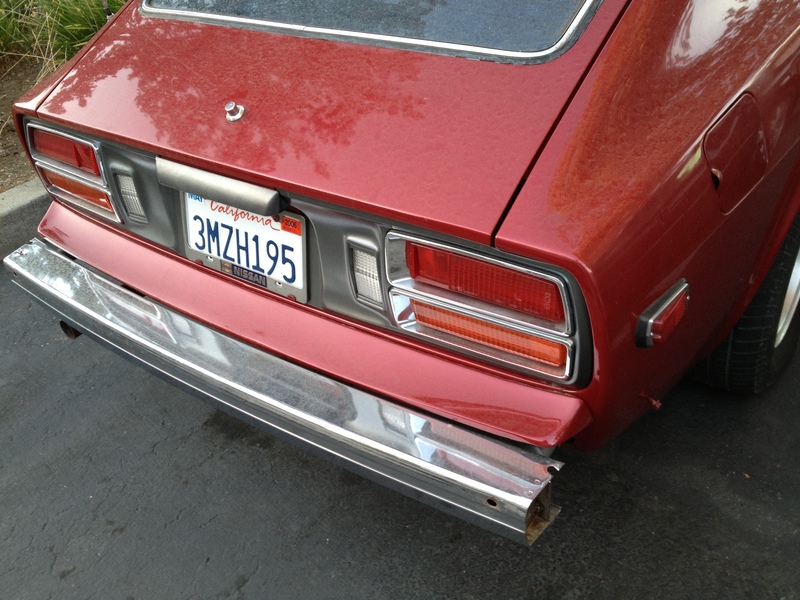 so THAT’S what 280z door/river gutter chrome trim looks like! I must have marveled at this piece for a good while. Check out the engine bay! See those red plates? Heat shields! They must be dealer installed because I don’t remember seeing that in the factory service manual. Just when you think you’ve seen them all, there’s always something new! 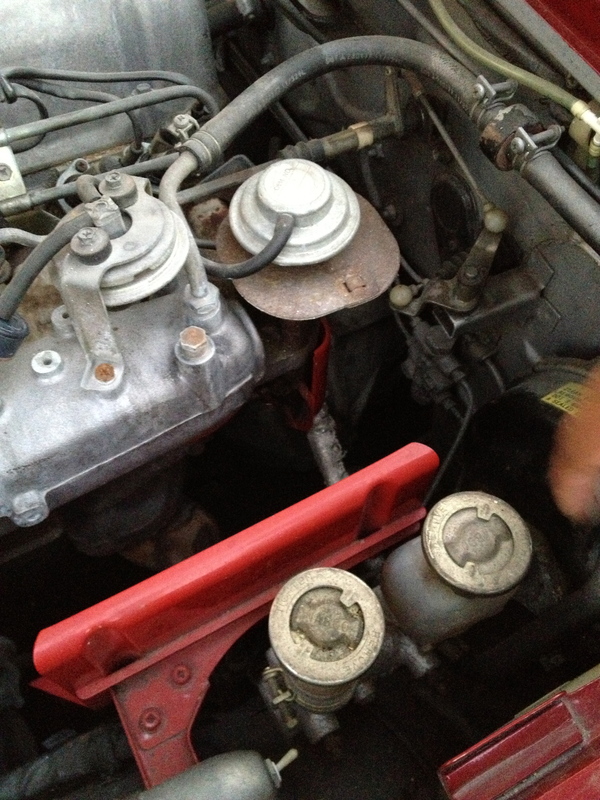 … huh, which might explain why my fluid has been disappearing (no, no leaks here). 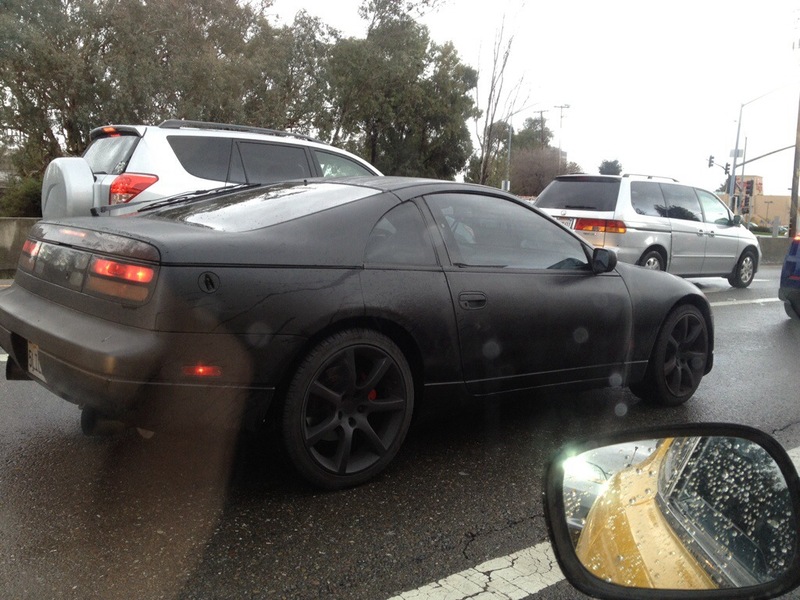 Great paint, mesh wheels, keepin it clean. 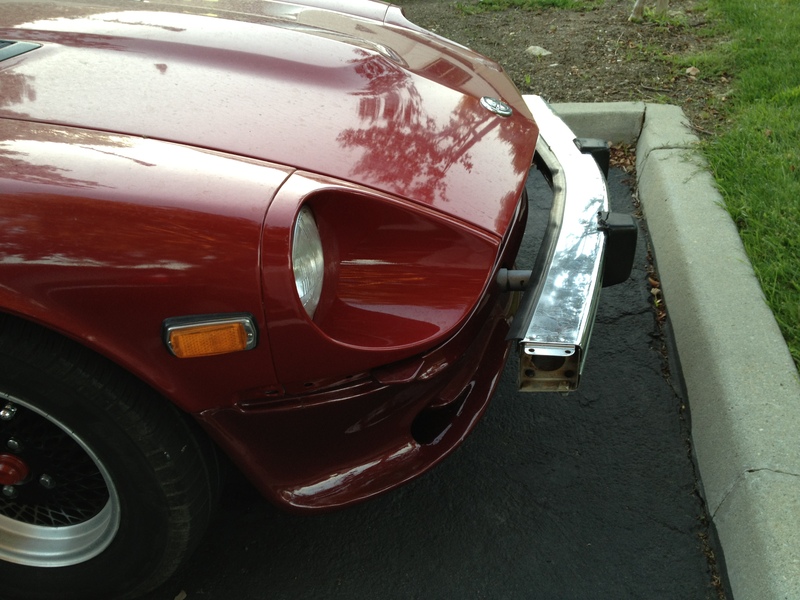 You can tell AC really loves his Z, and it shows in his careful / patient restoration. 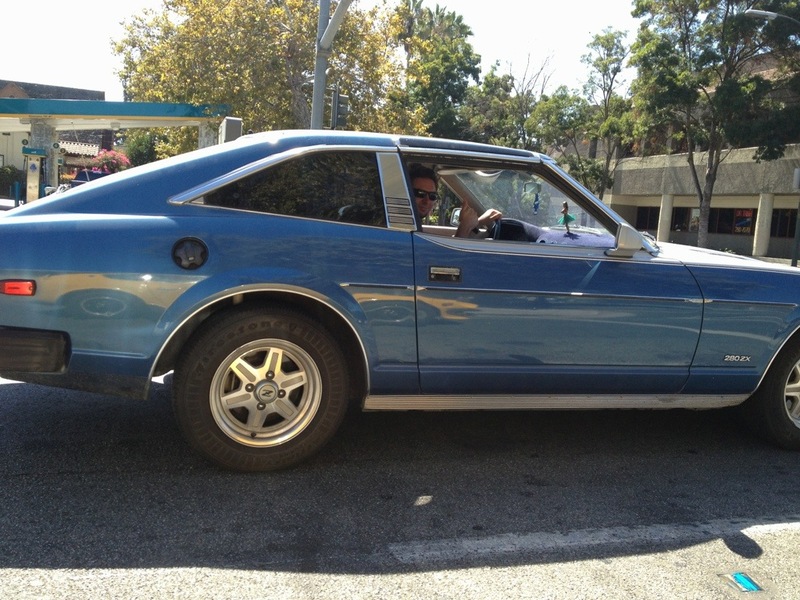 Blue 280zx 2+2! Woot woot! Ultra clean with two tone paint. He spotted me first as he was ready with a thumbs up when i rolled up! Drove with him for a block before he turned off. 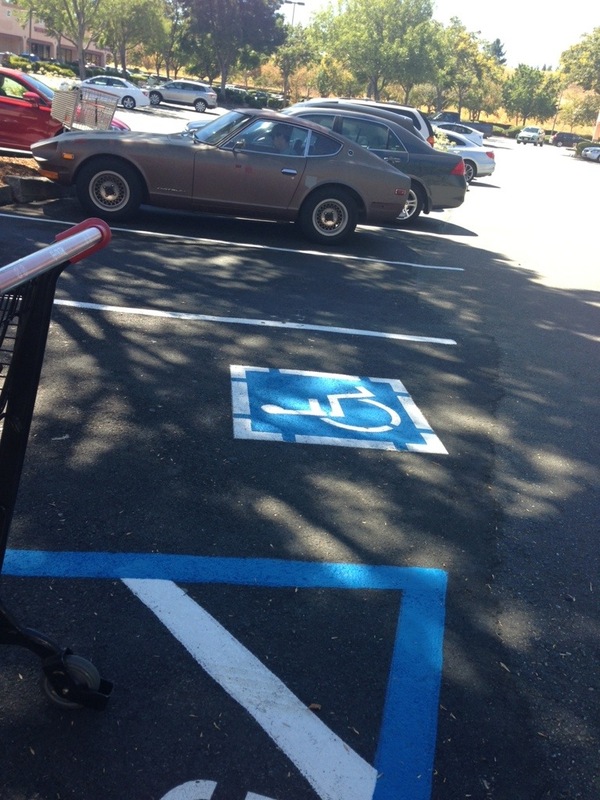 Now my wife is sending pics: bronze brown 240z sans bumpers! 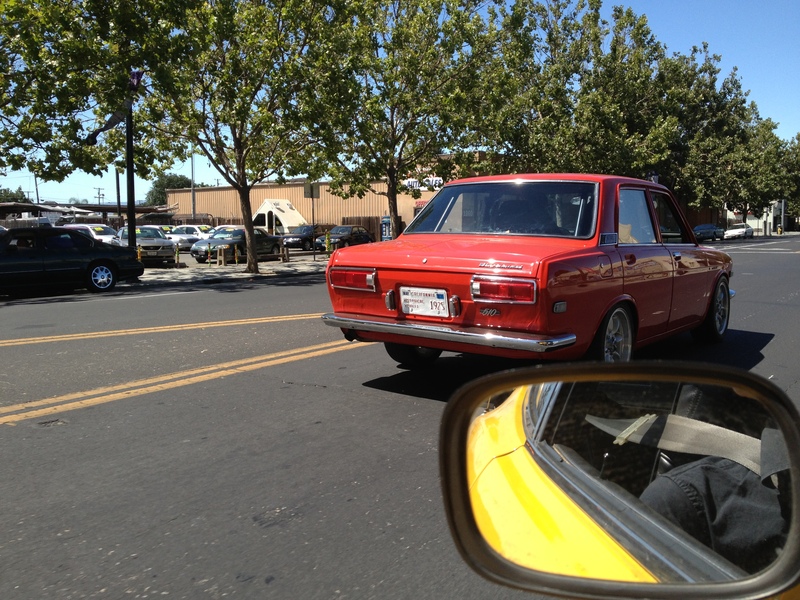 My friend Truong spotted me on San Tomas heading to work a few weeks back! haha zpotted again! Hahaha I’ve been zpotted – thnx Dana! Later that day we stopped by an open house, and as we were leaving the selling realtor remarked, “hey you want the house just put the car in as part of the deal”. 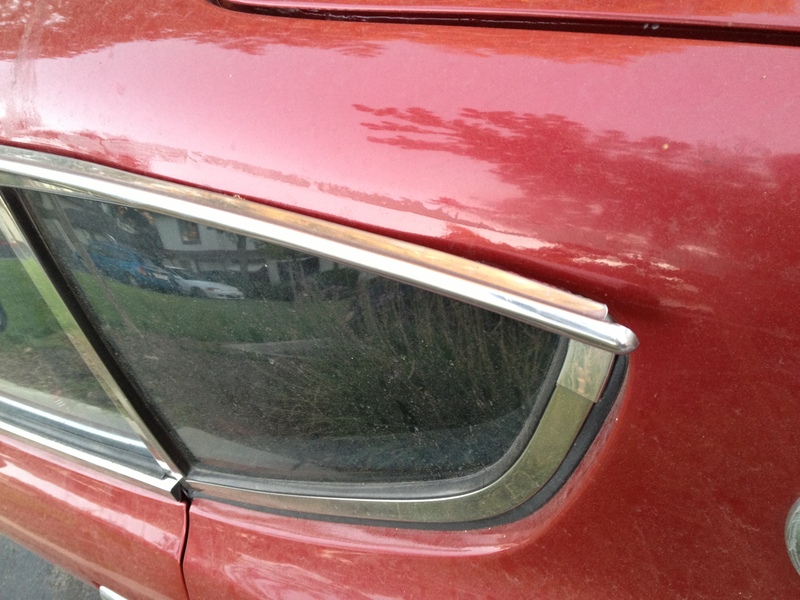 Just found another great blog on old cars called, Old Parked Cars. Two brother, Ben and Tony Piff, snap photos of… you guessed it, old parked cars. It’s great. Seemingly within this rural town in Oregon, they spot old cars everywhere they go, and going on 4 years of it! From Alfa to SAAB, Buick to Dodge, they’ve managed to see rust buckets to gems – and none without at least just a little bit of character. 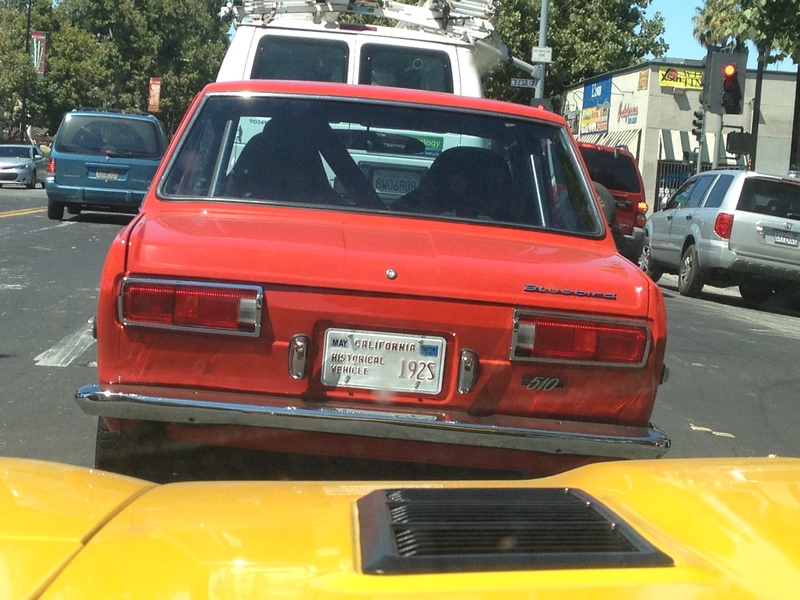 And yes, they’ve snapped Datsuns. 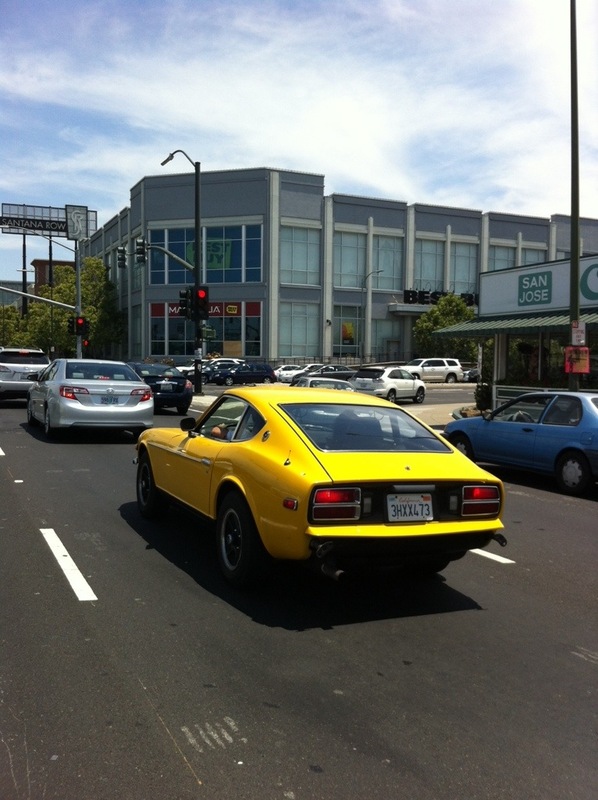 Below is a link just with the Datsun tag, but check out their entire site too – some wicked fun stuff on there.